I never seen any abstract art like the one Zachary Brown paints. This one I like because I love the use of the colors and I am just curious what the symbols mean in the painting. 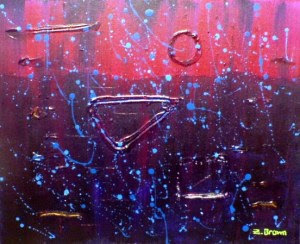 But I really like this abstract painting. Thanks for your kind words about my art!